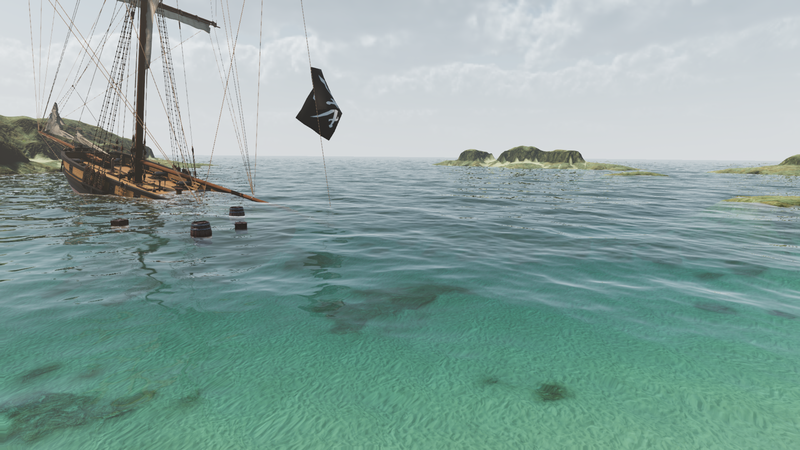 Sea Titans is a Salty Sea Dogs (SSD) standalone game project set in a fictional Age of Sails era. 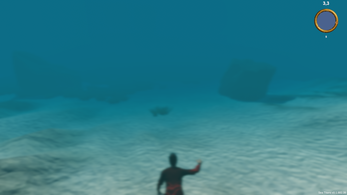 Sea Titans will feature a vast open world, where the main aim at first is to salvage and survive the days after you are washed up marooned on a island. The wreck of the ship you sailed in is broken up around your starter location, a small sandy cluster of islands. 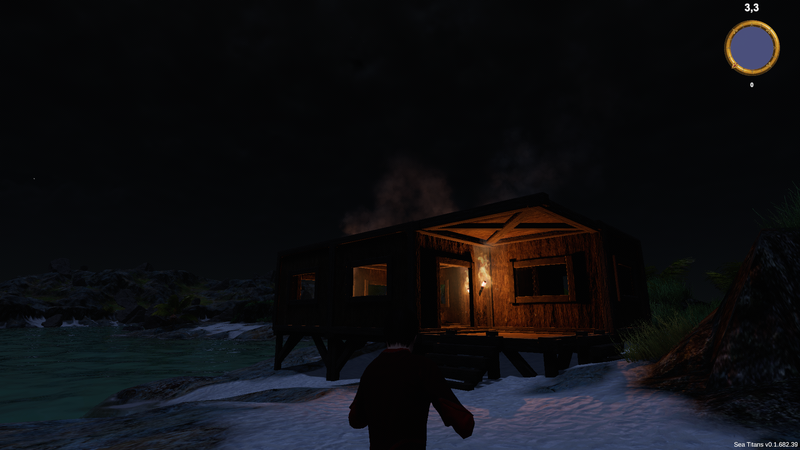 Your main objective at this point is surviving and building a small raft to get to the near islands. 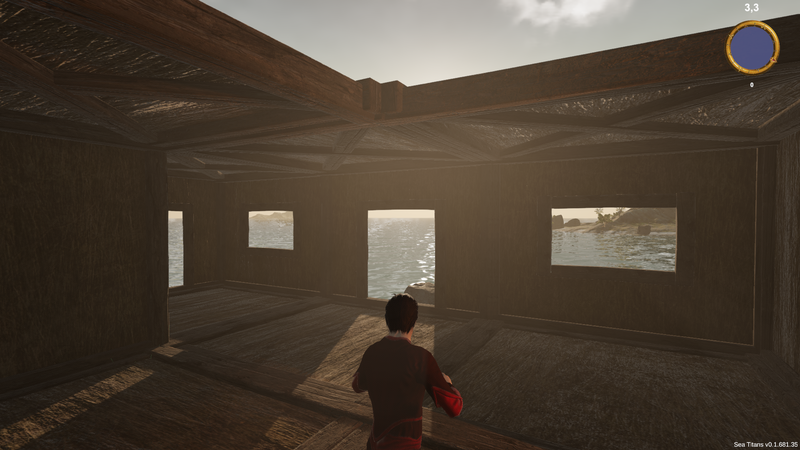 Then to build a bigger raft to cross bigger waters to populated islands further away. 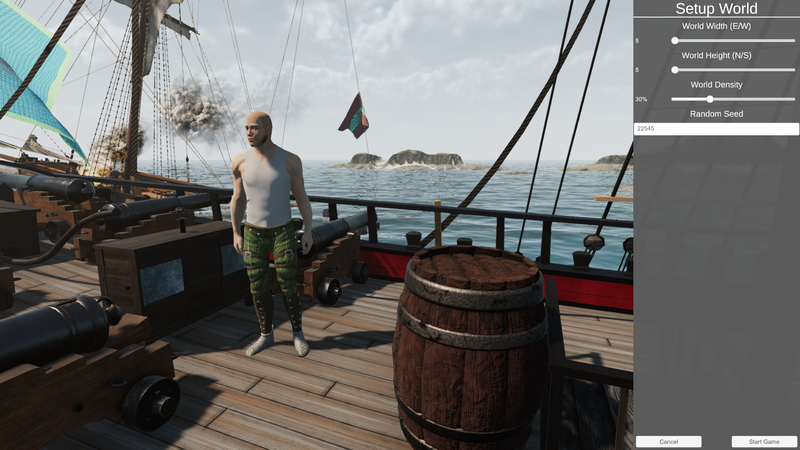 At these islands you will learn more skills through quests, which will make it possible for the player to build its own base/house and start building a ship to be able to cross even longer distances. The player will then assume the role of a captain in control of a ship. An ever-changing economy will affect the game world and the decisions the player makes. 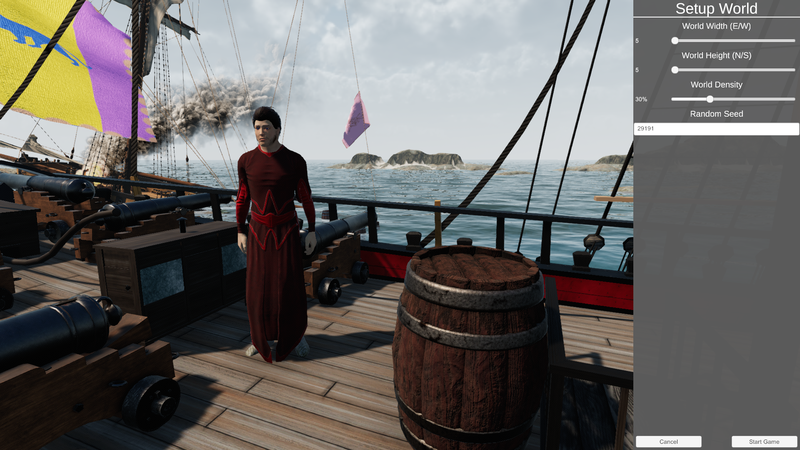 The player may choose to lead an honest merchant life, or resort to piracy – or both… each path being equally rewarding and engaging. 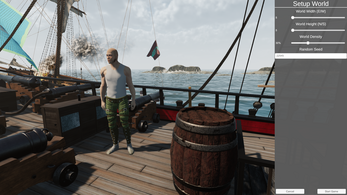 The player will have to fight pirate lords and Pirate Titans to take control over areas and to learn more skills. The Pirate Titans control the outer parts of the known world. The Sea Titans world will be a bit stylized with realistic looking textures. 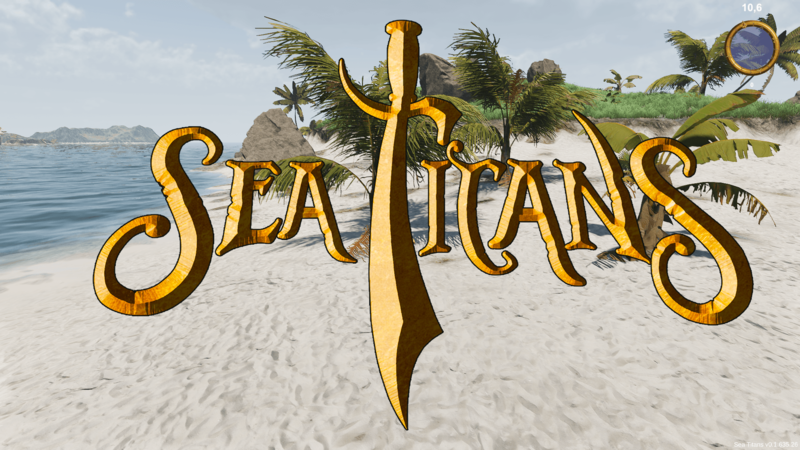 Salty Sea Dogs has plans to allow for modding Sea Titans and also plans to release DLC’s where the player can swap out the “Stylized” elements of the game with realistic looking assets. We have no long term plans for a multi-player version. We feel that it dilutes the focus of the game. We MAY decide on a coop capable version at a later date, though that entirely depends on the release state and schedule.